Toni-Ann looks at real estate from a different point of view. . .yours ! 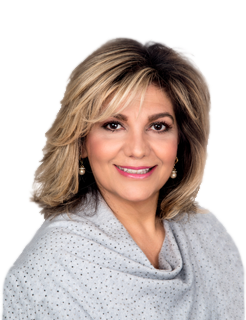 Her proven experience, sincerity and integrity translate to award winning commitment to her clients. These qualities have made her a leading agent and top producer. Toni-Ann's deep understanding of the Connecticut markets, positive outlook and energetic style have gained her a loyal client base including senior executives of Fortune 100 companies and their families as well as first time home buyers. As a native of the northeast and 23 year resident of southern Fairfield, Toni-Ann makes New Canaan her home with her husband Joseph and two children both educated in the excellent New Canaan school system. Before entering real estate, Vittoria was a marketing executive with a leading global cosmetic firm in New York City. After having children, Toni-Ann became an energetic volunteer - working in the local schools, dedicating time to community service and several charities. Taking all those talents and implementing them into real estate, she has distinguished herself as a proven top performer who is willing to work hard for her clients. Toni-Ann was "Rookie-of the year" in 2003, ranking #1 out of 1,500 new agents. She has distinguished herself as an acknowledged professional. She was invited to join the New Canaan Board of Directors for the New Canaan Multiple Listing Service for which she served for three years, and has since held many committee positions. Vittoria consistently achieves award-winning status each year as a top producer.